HomeMore on soccer predictionsWho will qualify to the Semifinal? Uefa Champions League 2019 Quarterfinal Predictions. 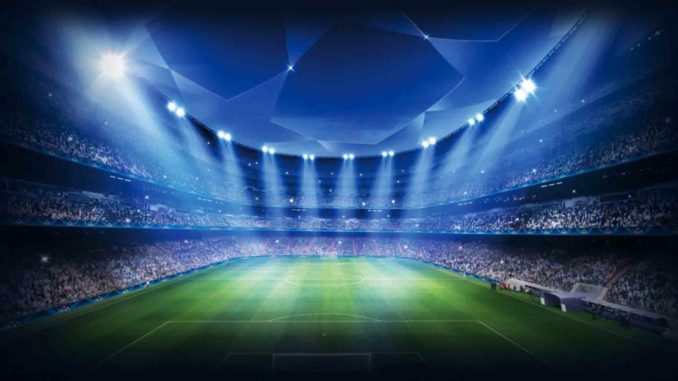 The Uefa Champions League is the most prestigious and popular club football competition. The best teams across Europe go head to head every year, this is a Competition for the best of the best. Betting on goals is good leverage in this competition especially over 1.5 goals market and over 2.5 goals market which is one of the best available on Confirmbets. A home win in 44% of the matches in the last five seasons and away win in 30% of the matches with the remaining 26% of the games ending in Draw. 60% of matches fulfil the over 2.5 goals betting tips. We are already in the quarterfinal stage for the 2018/2019 season. Let’s look at teams who will think will qualify into the semifinal. We have four matches to be played over two legs: Four teams from the Premier League, one from Spain(La Liga), one from Italy(Serie A), another from Netherlands(Eredivisie) and the last from Portugal(Primeira Liga). WHO WILL QUALIFY TO THE SEMIFINAL? Join us as we dive in on each matches. We will provide betting tips on each game and attempt to analyse the games. We will give reasons behind our decision. Don’t forget to gamble responsibly, only stake what you can afford to lose. If you are in a hurry and want the tips now, Click on Champions League Predictions. Don’t forget to share with people of similar interest. Tottenham and Manchester City are two of the four Premier League teams left in the competition. This is a showdown between familiar foes. Man city has had the upper hand in their last three meetings with home and away win in the league last season and a win at the Wembley stadium (Tottenham makeshift home earlier in the season). As earlier stated, Man City are the favorite on paper but Tottenham is a team to watch with their form in the competition this season. They qualify to the quarterfinal with an aggregate win of 4 goals to nil against Dortmund over two legs. Man City qualify with an aggregate win of 10 goals to 2 against Schalke. In other words, the better market to look towards is the goal market. Man City is the highest scoring team in the competition with 26 goals in 8 matches at an average of 3.25 goals per game. 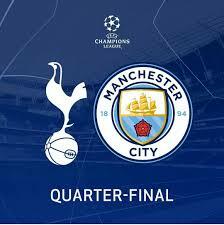 Man City 8 matches average 4.25 goals per game while Tottenham matches average 2.88 goals per game. Tottenham has conceded in 5 of their 8 games and in 50% of their home games. Man City has conceded in 3 of their 4 away games in the champions league. As a result, our advice on predictions for this game is to stake on over 2.5 goals or Both teams to score. Liverpool will look to do the majority of the heavy lifting in the first leg at Anfield. They are the favourite in this match to go through but a team that made it this far is not to be underrated. It should be a straight forward match with a Liverpool Win but what made football interesting is upset that teams like Porto pull off sometimes. Although, Porto are good for the money to give Liverpool a tough time over the two legs. We believe the over 2.5 goals market and home win is the appropriate market to stake on this time. Therefore, our betting tips for this match is Home win and Over 1.5 goals. Barcelona is one of the major favourite to win the champions league this year. After United wonderful comeback against PSG in the round of 16, the spirit was high and they are ready to take on any team. Judging by the recent result from the Domestic competition, the momentum has suffered and it is probably not the best time to face Lionel Messi inspired Barcelona. United chance of winning this match or qualification is limited but they can still pull off a surprise like they did in the second round. Barcelona has won 6 and drew 2 of the 8 matches they have played in the competition this season. 7 in 8 champions league involving United have ended in a win. Putting above into consideration, our predictions is a Double Chance(12) or over 1.5 goals. Ajax trying to awake the glory days of late 90’s in Europe. They already eliminate one giant of the competition in the defending champion Real Madrid. They lost the first leg at Amsterdam Arena but produce a masterclass at Santiago Bernabeu to qualify to this round. Juventus has been a team known for its pragmatism not leaving anything to chance. With the signing of champions league all-time Highest goalscorer, Cristiano Ronaldo last summer. They hope to go a step further than they did in 2015 and 2017. They defeated Atletico Madrid in the Round of 16 thanks to Ronaldo hatrick. Juventus have won 5 in 8 away champions league games. Finally, our tip on this game are over 1.5 goals and away win. The question of who will qualify? 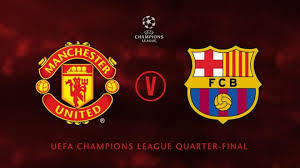 This will be better answered after the first leg, Watch out for part two of this post next week as we provide the latest prediction for you by the experts from Confirmbets. Stat used are sourced from UEFA website. Don’t forget to share with people of similar interest in football predictions.